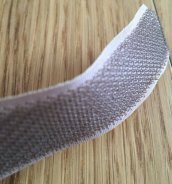 Hook and loop fastening tape is also known by the trade name of Velcro. This fastening is made up of two halves, one half contains little hooks and the other half made up of little loops. The way this type of fastening works is that when pressed together the hook side attaches to the loop side keeping both pieces of material in place until pulled apart. This fastening is very strong and long lasting. It is made to be easily opened and can be done and undone many times. 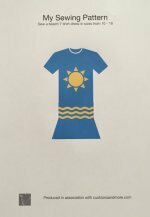 It is very useful on a lot of clothes for children as it enhances their ability to dress themselves. It has been used in quite a lot of different area other than soft furnishings, such as on footwear, all types of baggage, camping and other sports to name just a few. This is used widely on camping equipment because it is easy to use and can be used to attach one item to another if they are to be used independently. 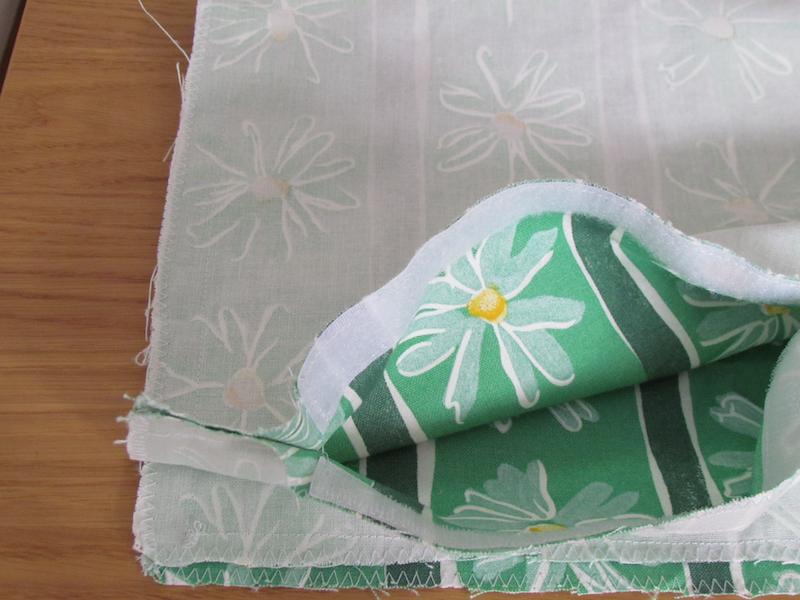 If it is not possible to sew both parts onto the items there is a stick and sew type. 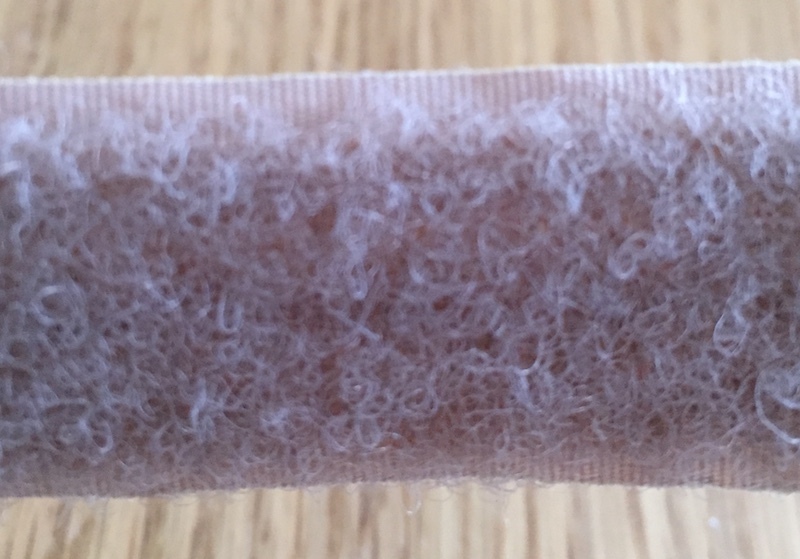 Velcro is a good fastening for cushions although is shouldn't be used for delicate thin fabrics as it could look cumbersome and snag the delicate material. 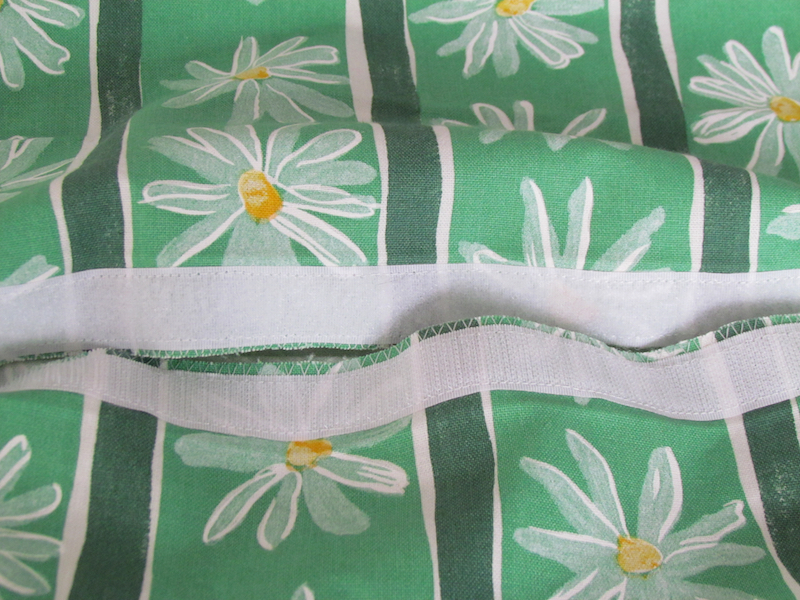 The hook and loop fastening is a set width so the opening seam will have to be sewn to suit this. The look will be a flat surface if placed into the back and/or the seam of the cushion. 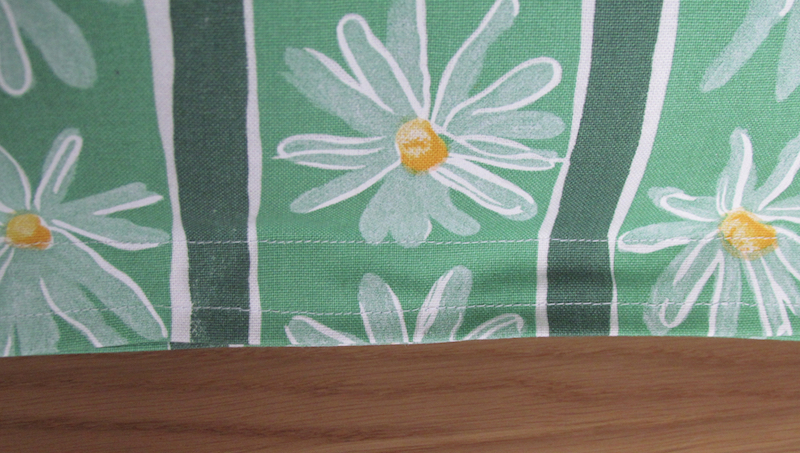 This would give a softer looking seam rather than puckered together and standing out from the cushion. The cushion pieces would be one front piece and two back pieces not necessarily equal sizes as the fastening can be placed nearer the bottom edge if wanted. 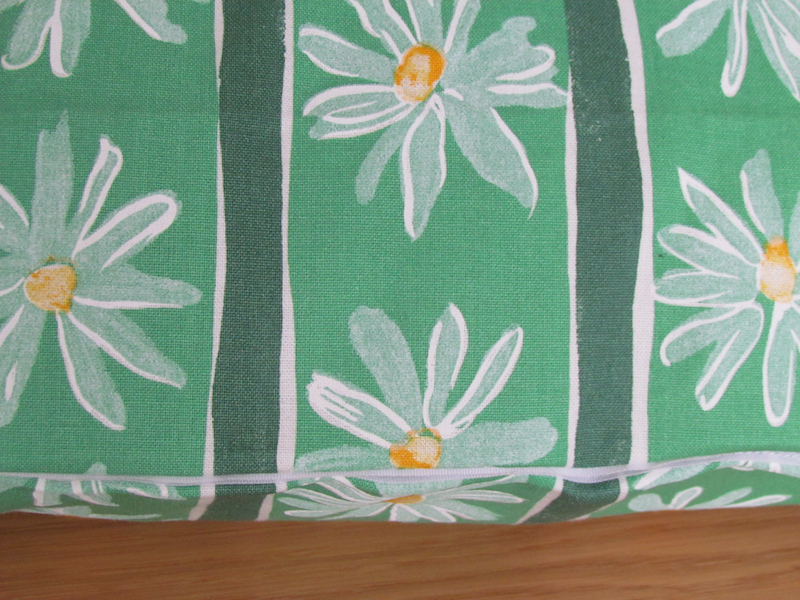 It is easier to put the fastening into the cushion cover before the rest of the seams are sewn and the tape should be about 2 inches (5 cm) shorter than the seam to make the edge look neater although the whole edge could be used if wanted. 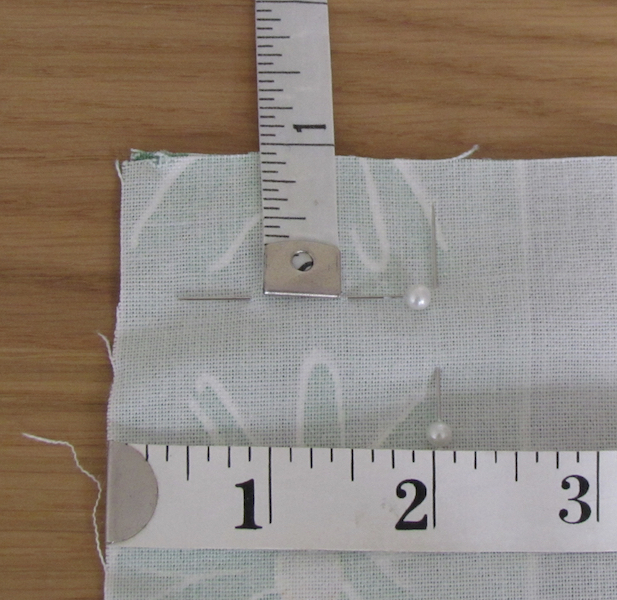 Place right sides of the fabric together and pin, mark the width and length of the hook and loop tape. Sew the seam from the selvedge to the start of the tape and then from the tape end to the selvedge. This will leave a gap in the middle so the tape can be sewn in place. Press the seam open along seam line ready to sew the first side of the tape. 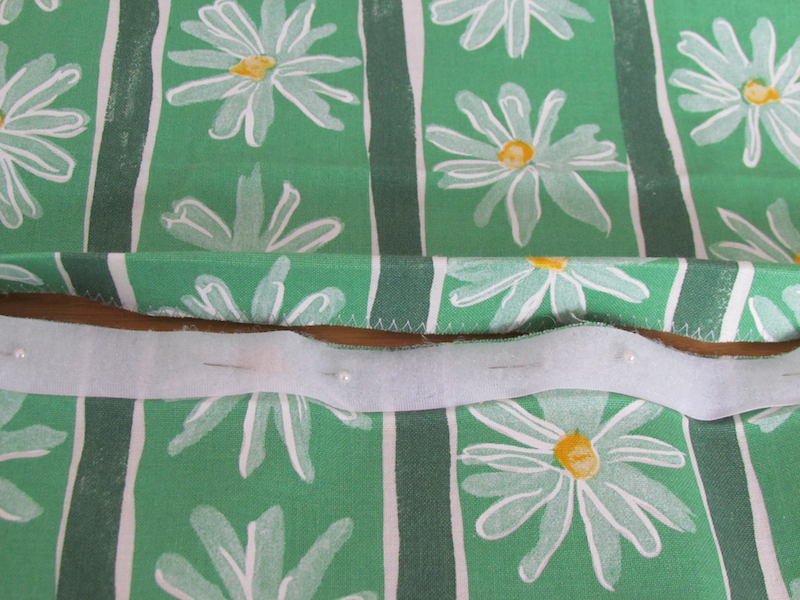 All the seams have also been finished off with a zig zag stitch to prevent fraying. This was done after the fabric was cut out. Open out the first side so that the fabric is flat. 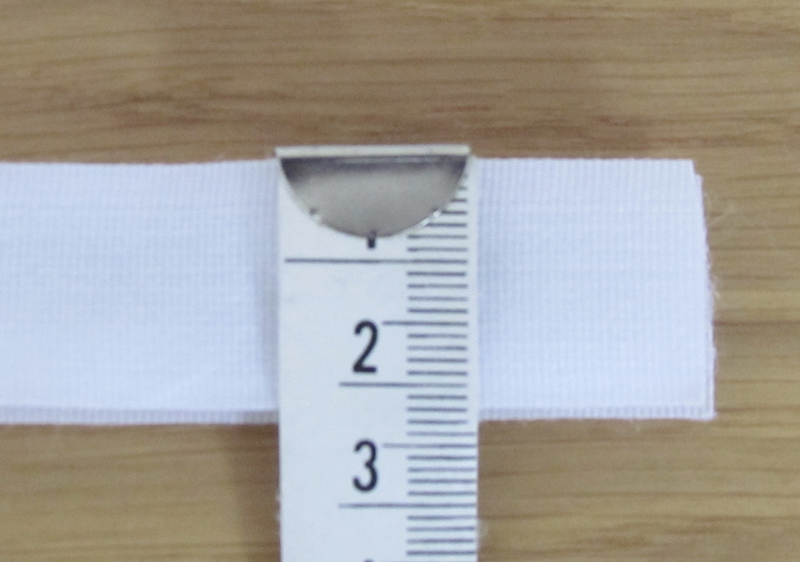 Pin one side of the tape to that side within the gap and between selvedge and seam line. Sew in place going around all four side to make sure the tape is secure. Repeat for the other side of the tape trying to keep them from sticking together. Close the fastening with right sides of the fabric together and sew around the rest of the seams leaving the usual 5/8th inch (1.5 cm) seam allowance. Open fastening and turn right sides out, ready to put the cushion pad inside. When the cushion pad has been inserted and the fastening closed. The hook and loop fastening tape sits neatly along the seam edge. There are no visible stitching lines because the tape was only sewn on one side and the indented stitching of the seam will keep it in place. This picture is to show what the right side of the fabric looks like when the fastening is attached to both sides of the fabric. The fastening can be sewn through both sides so that the stitching is seen on the right sides. 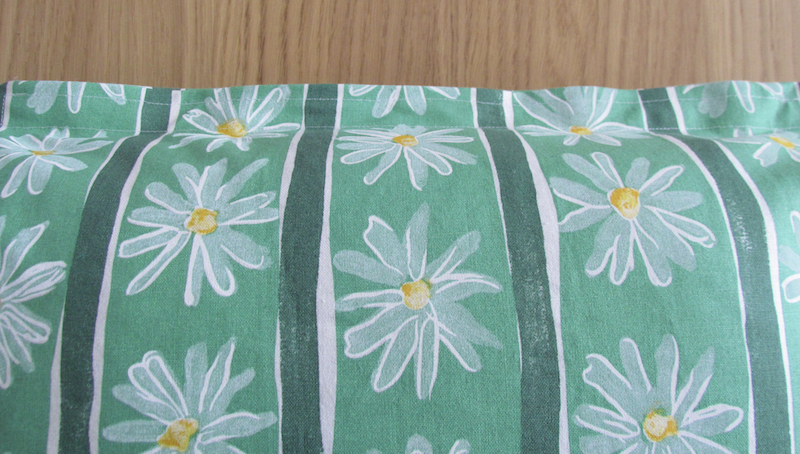 When done for a cushion there will be an definite edge to the finished item. Sewing the fastening this way will probably be better if it was at the top of a bag or something that wasn't going to have an insert place in it. 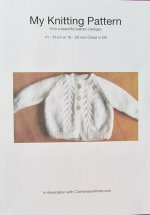 Hook and loop fastenings can be bought from retailers both on and off line. Such as Minerva Crafts and Homecrafts.